Job Centre Plus loses documents. Thousands suffer, called for re-interview! | Cafe Arjun - 15 times WordPress Top Blog! 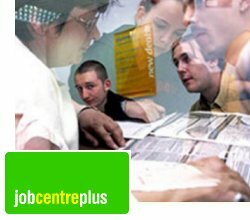 Job Centre Plus loses documents. Thousands suffer, called for re-interview! My friend has been struggling all morning with Job Centre Plus people. They tell him he has to reappear for his National Insurance number interview. “We’ve lost all your documents” said the person from Job Centre Plus on phone. My friend is from Hungary and he’s not alone. His girfriend got the same call and letter and so did another eastern European guy I know. This has probably happened to thousands, if not hundreds of thousands of people. There’s still no official word from Job Centre Plus. Probably, this is going to be in news soon and Job Center Plus will be made to give an official apology. But what about those people who were interviewed 2 months ago, were promised their national Insurance number cards in 2 weeks? Now, when they’re already long overdue, they’re told that their documents are lost and they have to come for another interview. So my hungarian friend went to JobCentre Plus for his re-interview. He was mad at them (obviously) and on asking how many people’s documents were lost, the lady there said “lots of people”. Here’s his conversation at Job Centre Plus, Settle street in Whitechapel, London. You can hear the lady say that the documents were “lost in transit” and make excuses. I just hope some strict action is taken against this repeated behaviour by companies, which, UK has become pretty complacent to. Immigrants aren’t the only ones facing problems with so many people now out of work. I have been out of work for 10 months now after being made redundant last August. I went to see my mum who lives in France, who I haven’t seen for 4 years and whose health is declining, for 4 days in April. It’s taken the ‘fast-track’ system nigh on a month to get me back on the system, that’s if they have! I shall find out either wednesday or thursday if they’ve finally sorted it. Meanwhile, I’ve had no gas for a week now and down to my last £1 on the electricity. Thankfully I had a freezer full of veg and a number of tinned goods in my cupboard. I’m also a dab hand at cooking something from practically nothing, otherwise I don’t know how I’d have managed these last few weeks. Unfortunately, if my electricity runs out before I have any money, not only wil I no longer have the means to cook, but I’ll likely lose most of my food in the freezer too. And no I don’t have any friends I can turn to. Apart from my dad who lives in Southampton (some 300 odd miles away), all my family live abroad – they got out whilst the going was good! The job centre plus lost ALL 80+ of my documents. I told the job centre that I will NOT post original documents to their office as so many of these documents related to my health, identity & financial data & did not want the documents to go missing! So the buffoons at the job centre plus photocopied all my data & the LOST ALL OF THEM! The job centre plus refuse to pay for all my costs associated with changing all my account numbers & cancelling my documents & replacing them! The job centre plus lawyers said that I cannot sue them! & that I have to wait for the report form the independent case examiners office. This was in MAY JUNE 09! Unfortunately the job centre plus lawyers are inefficients & conveniently forgot that the independent case examiners office looking into my complaint have BEEN asking for the job centre plus to hand over evidence SDINCE DECEMBER 2008, so it take over 6 months to ignore the official investigations does it? I get the impression that it is standard procedure to ignore peoples rights! I have been treated with contempt, arrogance. I hope the court judge rules against the job centre plus as I am suing the job centre under the EU human rights act for violating my rights under article 8 of the human rights act! The job centre plus staff are poorly trained & ignorant of the Laws of ENGLAND! I cannot wait to see them in court!